Lenovo Vibe X3 aka Lenovo Lemon X all set to rock smartphone market this Nov. as Lenovo has launched all new Lenovo Vibe X3 aka Lenovo Vibe X3 Lemon in China priced at priced at CNY 2,499 (approx. Rs. 26,000) for 32GB and CNY 2,999 (approx. Rs. 31,000) for 64GB. Lenovo also launched Lenovo Vibe X3 Lite priced at CNY 1,889 (approx. Rs. 19,500). 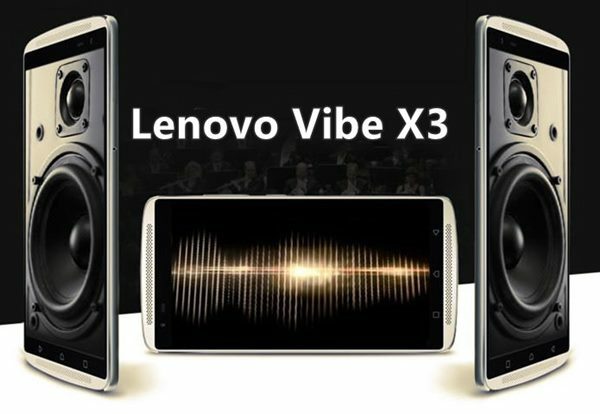 Lenovo Vibe X3 is now up for pre-order in Platinum, Graphite Grey colour option in China soon going to launch in Indian market starting priced approx. Rs 20,000 for 32GB and approx. Rs 25,000 for 64GB. The all new Lenovo Vibe X3 supports Dual-SIM(Nano SIM), 4GLTE, NFC, Finger Print Scanner, 3G, GPRS/ EDGE, Wi-Fi 802.11 b/g/n, GPS/ A-GPS, Micro-USB, and Bluetooth comes with a bigger 5.5-inch Full HD IPS display with resolution (1080×1920 pixels), Corning Gorilla Glass 3 protection, 441PPi offers crystal clear view perfect for multitasking. While Lenovo Vibe X3 Lite comes with 1.3GHz octa-core MediaTek processor, 2GB RAM, 16GB ROM, 13-MP Rear +5-MP front camera and 3300mAh battery. Lenovo recently launched Lenovo A6000 Plus(Rs 9,999), Lenovo K3 Note Music(Rs 12,999) Lenovo Vibe P1(Rs 15,999, Lenovo Vibe P1m(Rs 7,999). Lenovo also planning to launch Lenovo A7000 Plus priced approx. Rs 9,999. At last few honest word, Lenovo Vibe X3 is coming to win the hearts of Indians. What you think? Please be open to give your view.